Whilst maintaining the traditional MOMO three spoke design, the MOMO Trek Alcantara steering wheel offers a modern twist that really sets it apart from the rest of the MOMO range. This modern interpretation sees the Trek Alcantara utilise a centre ring spoke combination, in which the black centre spoke continues around the silver MOMO horn button and returns on itself to form a centre ring. 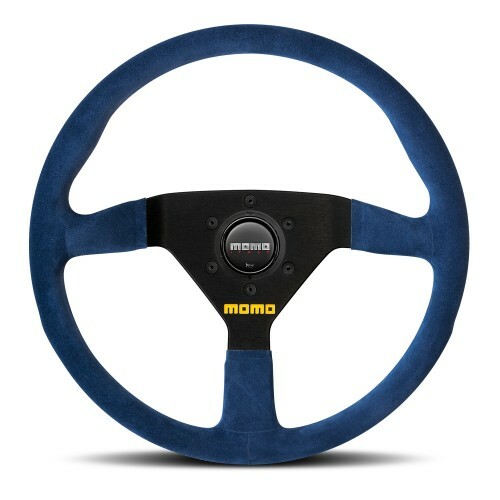 In addition, the MOMO Trek steering wheel features a bi-leather and alcantara combination with embroidered MOMO logo on the top of the rim, offering a premium look and feel that complements its unique design. Like all MOMO steering wheels the Trek Alcantara is made in Italy from the highest quality materials. An aftermarket hub is required for installation, contact FUEL AUTOTEK to learn more about MOMO’s range of hub kits. MOMO is leading the way in quality aftermarket steering wheels. From our Motorsport range with flat bottom steering wheels to the leather and mahogany 3 spoke classic range. 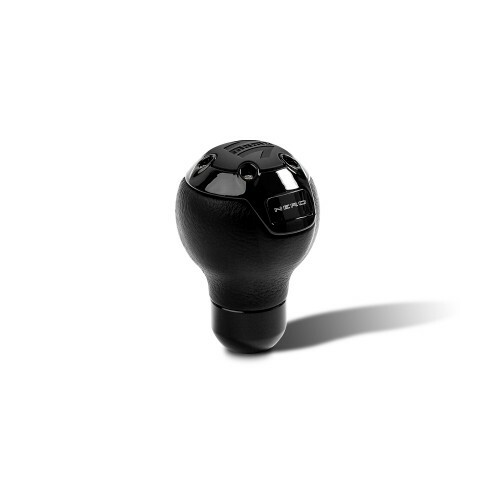 Since 1964, MOMO has delivered the highest standard in consumer and racing products. MOMO use quality grade sourced materials from around the world. From the finest leathers used for the Shift Knob range, to the latest high tech fireproof nomex materials used in underwear and race suits.